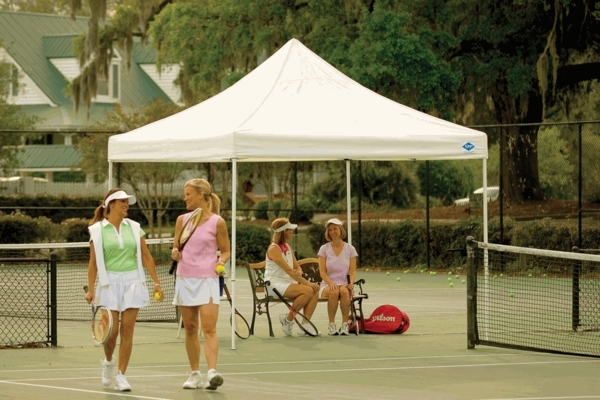 This portable easy-to-use Shelter Logic 10 x 10 White Pop Up Canopy Tent with Open Ceiling - Pro Series is perfect for outdoor events like cook outs or tailgating. Features include a sturdy beam welded tubular steel frame, frame fold collapsible design, Dupont thermoset protection against chipping, peeling and weather, heavy duty double stitched lining, polyester UV treated cover, drip-free seaming, height adjustable legs, wide foot pads for stability, and a wheeled storage bag. 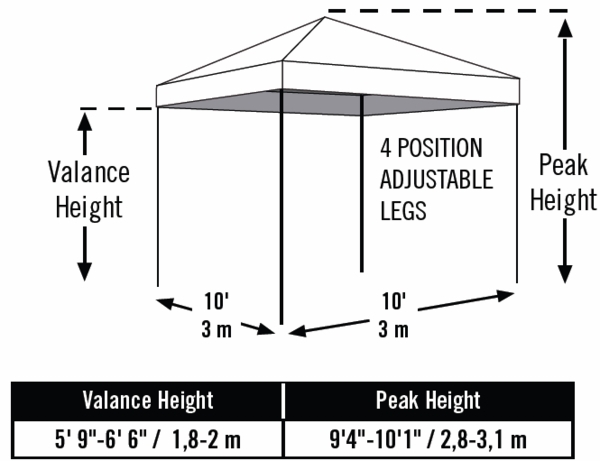 This tent is easy to set up, collapse, and take with you wherever you may need a little protection from the sun or rain.